Ever since having witnessed the strength of the men and women in the Warrior Games in Colorado in 2013, Prince Harry has used the inspiration he gained to become a driving force behind getting a similar competition set up here in London. And now his vision has finally become a reality, with the Invictus Games. 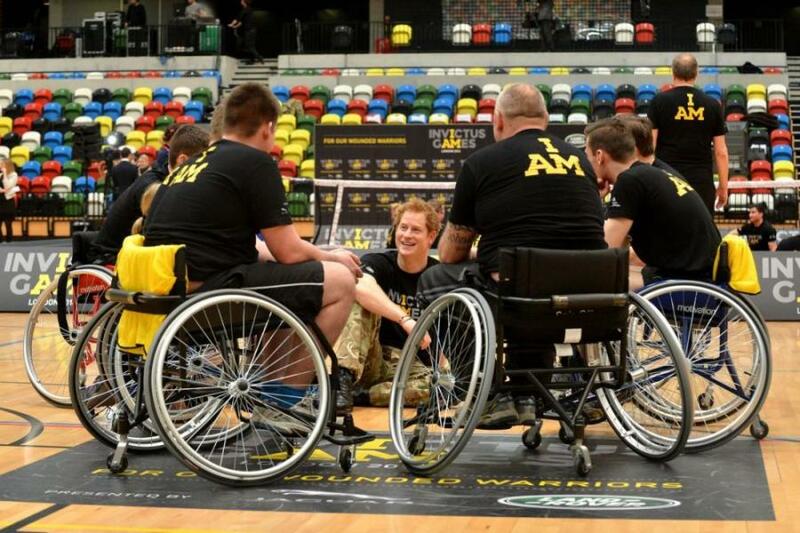 ‘Invictus’ means ‘unconquered’ – which is exactly what he sets out to prove these men and women are. Despite the grievous injuries that those in the Armed Forces sustained, they have overcome them with such motivation and passion, that their stories needs to be shared. The strength gained from the rehabilitative power of sport is something that continues to inspire those injured in the line of duty. This event will help raise awareness of the sacrifice of these brave individuals, and help encourage further opportunities for these men and women as they are transitioning back into society. Although this will be its first year, the Invictus Games aims to become an annually held event, to celebrate these inspirational men and women. The games will take place in Queen Elizabeth Park from September 10 to 14, showcasing 400 competitors from over 14 different nations which have served side by side. There will be nine different sporting events to watch, comprised of athletics, archery, road cycling, power lifting, indoor rowing, wheelchair rugby, swimming, sitting volleyball and a driving challenge (organised by the event’s presenting partner Jaguar Land Rover). In the words of Prince Harry himself, “I am extremely proud that we are bringing an event like this to the UK for the first time and believe it can have a long-lasting impact on the well-being of those who have served their nations so bravely.” Who wouldn’t want to cheer along with him to honor these peoples’ struggles and how they conquered them? Tickets go on sale this Friday, May 16th, at 9am. Prices are £11.75 per person per session. Please click here to go the event’s official site, where you can purchase tickets to see these inspirational men and women compete. This entry was posted in General Posts and tagged armed forces, colorado, disability, injured armed forces, invictus, invictus games, jaguar, land rover, London, prince harry, queen elizabeth park, warrior games. Bookmark the permalink.